Only one out of every five students applying to England’s most prestigious universities, Oxford and Cambridge, ends up being successful. The application process shaves off 40 percent of the field, as does the interviews – with some students facing as many as four before they finally get an offer. 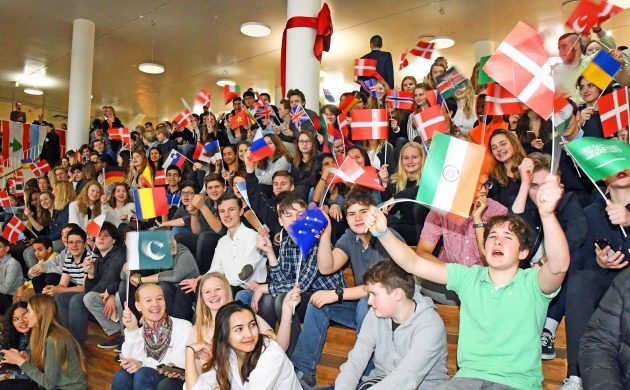 This year, two Copenhagen International School students, Aoife Sweeney and Nicolai Hækkerup, survived the somewhat harrowing process to earn their inclusion. CPH POST caught up with them before they moved to Oxford in mid-September to find out the secret of their success. Aoife is half-Danish and half-Irish through her father Brendan, a novelist currently working for DIS, who worked for CPH POST for a number of months back in 2009. 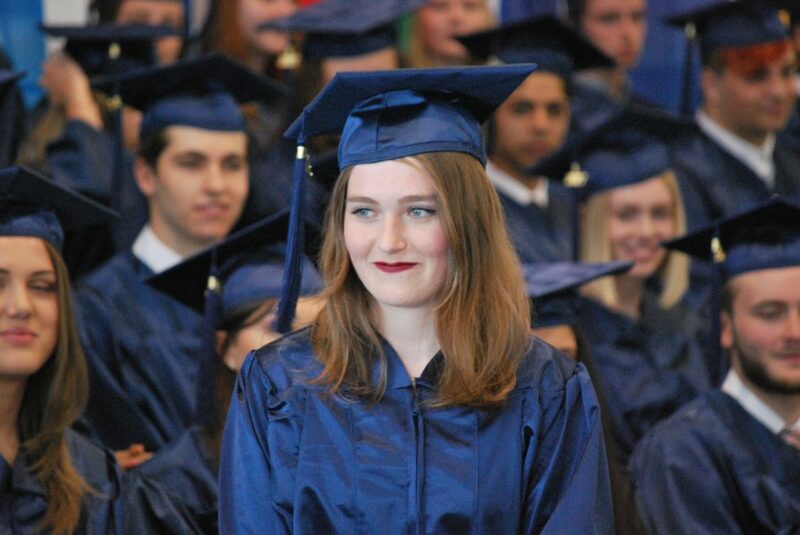 Aoife, who attended CIS on a scholarship to take the two-year IB Diploma Programme, graduated in June with a score of 42 out of 45, putting her in the top 1 percent of IB Diploma graduates worldwide. Why did you choose biological sciences? For as long as I can remember, I’ve always had a keen interest in animals. I read all the books and watched all the documentaries. When I saw a bird, I looked it up in my encyclopedia and read all about it. So biological science was a pretty easy choice and I’m really excited about it. And I feel so privileged to have a passion and a sense of direction when so many people my age don’t. Success to me is helping as many people as I can, and biology will definitely help me do just that. Sustainability was the theme for my personal statement in my application. We need to live sustainably – and it can be done. Old ideas and traditions combined with modern technology is the way forward – so using the diversity that nature provides, but ‘manipulating’ it without destroying or exploiting it. There are so many modern advances: like urban gardening in vertical towers or GMOs (genetically modified organisms) – by changing one small gene, you can make a crop hardier in arid areas. It’s all about harnessing the forces that are already there – sun, wind, genes – we just need more investment in these areas. Just imagine even a small part of the Sahara covered in solar panels – that would make such a big impact. How big a role did CIS play in your success? Nicolai is Danish and has attended CIS since grade 1 – so for 12 years in total. 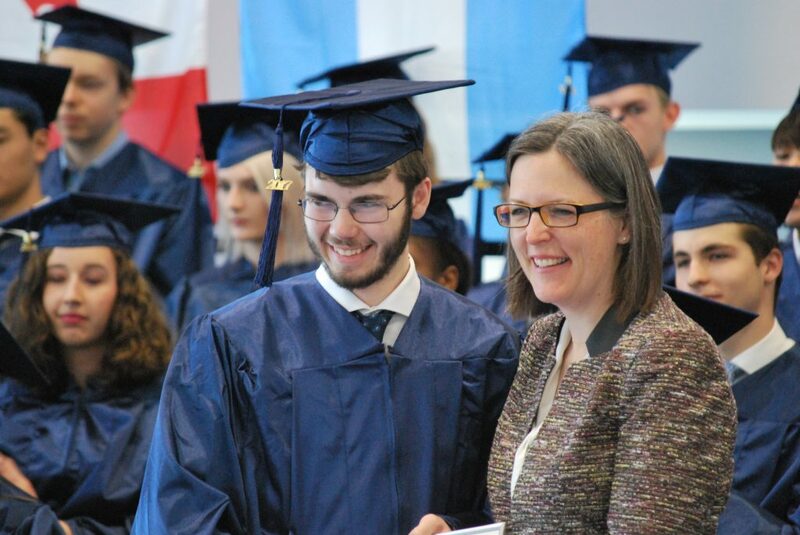 He graduated from CIS in June 2017 with a score of 41 out of 45, putting him in the top 2 percent of IB Diploma graduates worldwide. At Oxford University he will study history and politics. What’s been your most valuable lesson at CIS? CIS formulates a very ambitious goal in its mission statement: “Educating champions of a just and sustainable world”. I actually think CIS is very good at creating a sustainable mindset in its students; we need to create a just and sustainable world in order to function as a global community. Particularly through the history course that I have taken I have come to realise that we need to work actively for the world to become a better place. It won’t happen automatically. And we can’t just sit back and let somebody else take care of it – because then it won’t happen! It will be exciting to see how CIS graduates implement these values in their professional lives. What’s it like on the new campus? The new campus in Nordhavn is inspirational: with its 12,000 solar panels and many innovative and progressive features, it creates and promotes a sense of something greater. We moved there as pioneers – both in terms of sustainability and in terms of education. It’s a coming-together of multiple modern advances: both technologically and aesthetically. And also, the school is home to a fantastic international community. Can you single out the key way CIS makes a difference? To me, the most important quality is the relationship between teachers and students. It’s a friendly and respectful relationship with minimal discipline, barriers and rules. Teachers trust you to do the right thing. And because of that I believe I’m much more likely to succeed because I feel valued and respected as an individual and as a member of the community. I’m part of something much bigger, and everybody around me wants to help me grow as a student and person. Creating a community like that is another important aspect of sustainability.